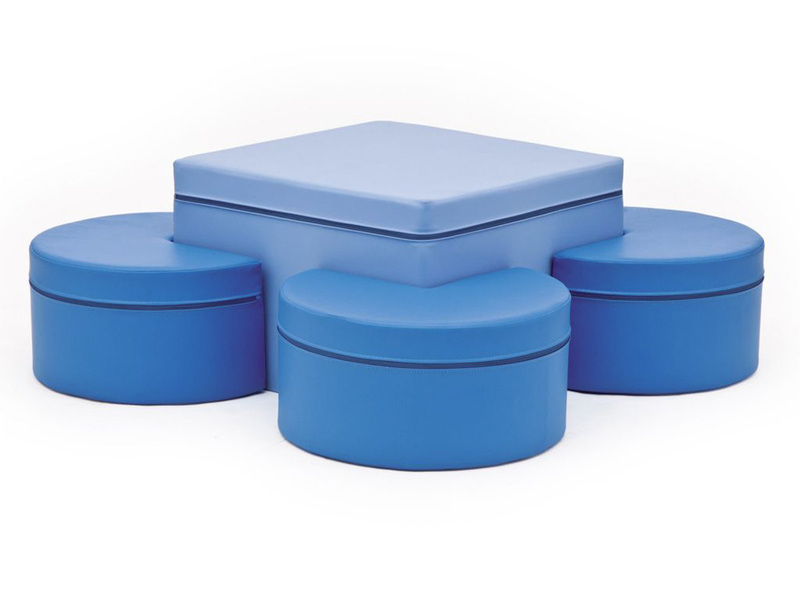 Childrens play furniture Soft Seating Table & Stool Set is fun, durable and multi-functional, perfect for use in nurseries, pre-schools and play areas alike. Early years’ children can use the soft seating set for games, reading or eating. 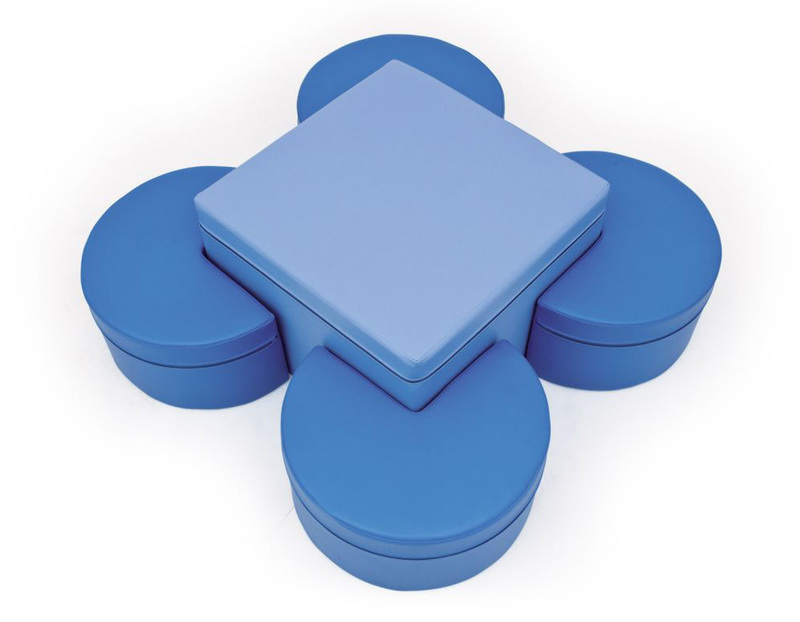 The circular shapes seats are perfect for playtime when they can be used as fun rocker seats. Manufactured using high density foam core which is resistant to bending, sagging and twisting. Each soft foam shape is covered with an easy clean vinyl cover which can be removed if required. The high quality matt finish covers are fire resistant, durable and easy to clean. View our full range of Children's Soft Play Equipment.